Can an Under Age Child Inherit a Car Without a Will? 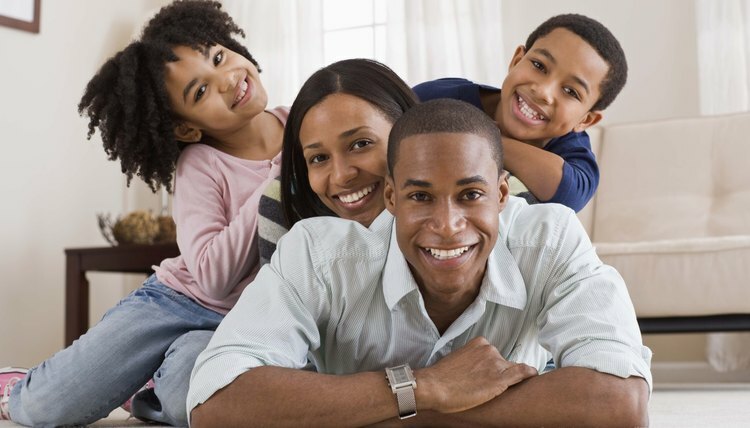 A parent with young children must address numerous estate-planning questions, including naming a guardian to raise the children and providing sufficient assets to care for and educate them. Most property inherited by a minor requires adult management. Parents can best tackle these issues by preparing a will. Passing away without a will means that a probate court will apply state laws on inheritance, which may not have the outcome a parent would desire. Children are among the most logical and appropriate beneficiaries of a person's bounty. This attitude is echoed in intestate statutes, state laws that describe who may inherit property if an individual dies without a will. Depending upon the laws of the state, the term "children" can include natural children, minor children under the age of 18, adult children, adopted children, illegitimate children, unborn children and those conceived by artificial insemination. Generally, minor children can inherit any type of property an adult may inherit, including vehicles. When a person dies without a will, her property is distributed in accordance with the intestate laws in her state of residence. The details of succession differ among states, but generally, a decedent's surviving spouse and children top the list of family members recognized as heirs. If there's no surviving spouse, then children – including under-aged minors – inherit the bulk of an intestate estate, which includes real and personal property. A young child could inherit a vehicle that is part of the estate. The law holds that minors cannot manage their lives or finances without adult supervision. A parent making a will that leaves her property to her child can select a trusted family member or friend to serve as a personal guardian (to raise the child) or a property guardian (to manage the child's inheritance). In an intestate estate, the probate court appoints guardians. Depending on state laws and the size of the estate, the court may appoint two different individuals to perform these duties. The property guardian holds and manages the assets, including vehicles, until the child reaches the age of 18. A court-appointed property guardian or conservator must follow state laws and court oversight in performing his duties. The probate court oversees the property guardian, who generally must obtain court approval before selling assets or making large expenditures. Since vehicles depreciate, a property guardian may request court permission to sell a vehicle inherited by a minor child to invest the proceeds on the child's behalf. A child considered a minor by her state of residence can inherit property, but she can't manage it. The legal age of inheritance, meaning control of the property, varies by state and by the value of the inheritance but is 18 in most cases. For example, a child may take control of his inheritance at 18 in Colorado, but if the inheritance is more than $10,000, he has to wait until he's 21. A parent or relative of a minor child has more than one option when deciding how to provide for a minor's inheritance.